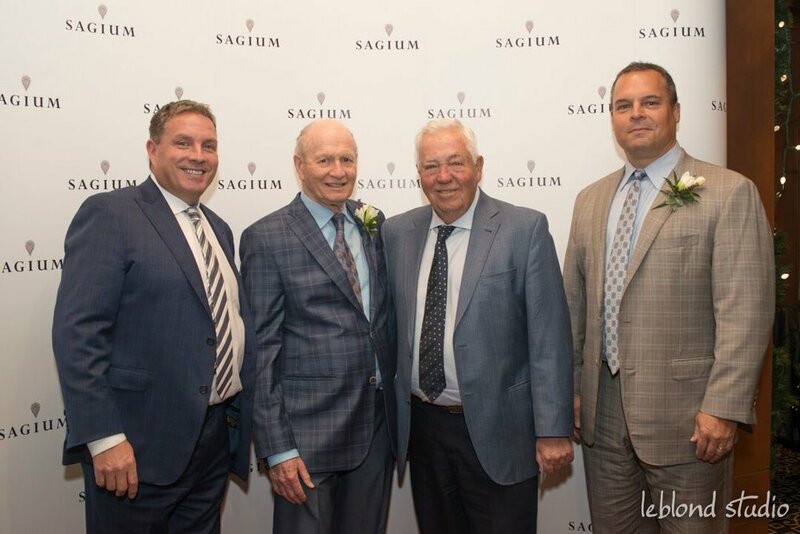 Clay Riddell, Jim Dinning and many other prominent Calgarians joined Sagium for an exclusive milestone celebration of two great leaders in our firm on November 23, 2016. The Calgary Country Club played venue to Bill Andrew’s 60th anniversary and Rick Green's 30th anniversary gala. Bill and Rick were honoured with video montages including congratulatory messages from some of their closest relationships over the years. Both gentlemen spoke and related stories of their many years in the industry. The evening was highlighted by a special presentation given by Clay Riddell. In commemoration of his 60 years of service in the financial industry, a donation was made to the Alberta Children's Hospital Diamond Shine Fund in honour of Bill Andrew and his lifetime of philanthropy and support of our community.